Home Board index Front Page Sweepstakes! Want a chance at free swag? Look in here. All give-aways will be administered by the staff. Administrators are NOT eligible for the drawings. If picked, winner MUST reply to admins within one (1) calendar week, if no reply is received, another winner will be drawn. Re: Win an ESEE Candiru. congrats to @FlynGuy. and thanks for doing this. 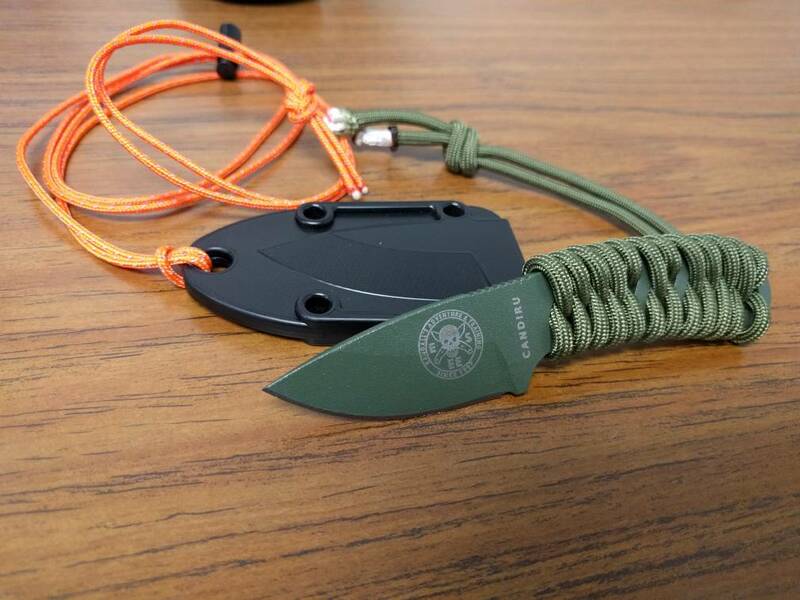 Re: RE: Re: Win an ESEE Candiru. The 10th reply was FlynGuy, aka Andy. Grats. To everyone that didn't win, I am planning on doing another one, watch here for info. This is my Candiru. There are many like it, but this one is mine. My Candiru is my best friend. It is my life. I must master it as I must master my life. So happy to have won this. Thanks Scuba and thanks to everyone for the grats.